Kimzeyite is a zirconium bearing garnet mineral. Milton et al. (1961) named the mineral in honor of the Kimzey family. 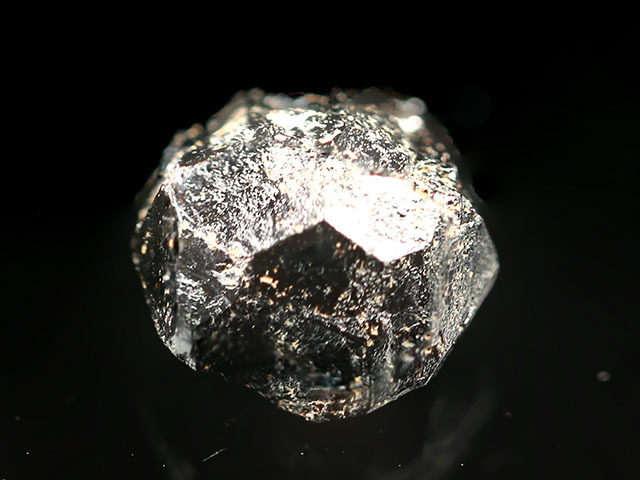 The International Mineralogical Association adapted a nomenclature system for the garnet group and redefined endmember kimzeyite as Ca3Zr2(Al2Si)O12, wherein Al3+ provides the charge balance needed to substitute Zr4+ into the crystal structure. 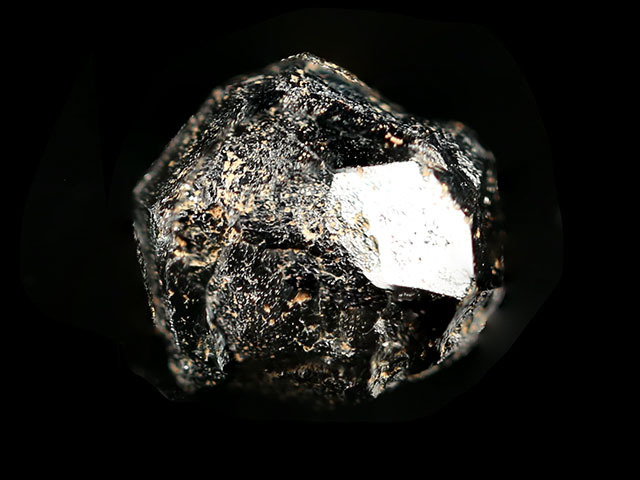 This is a large crystal, 11 mm across, displaying trapezohedral and dodecahedral faces. Some of the faces are poorly defined. The crystal is approximately 50% complete. This specimen was part of the personal collection of Ralph Merrill, proprietor of the prolific mail order business Minerals Unlimited. Merrill's collection card and label ship with the specimen.